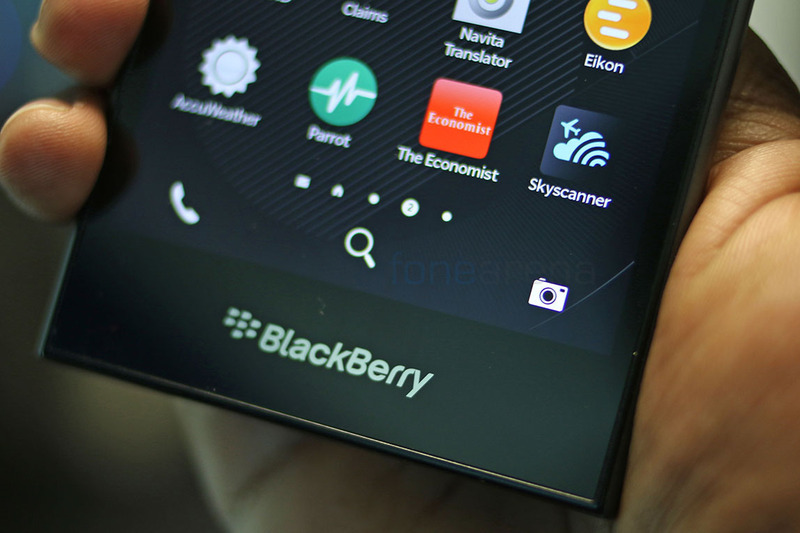 BlackBerry announced the BlackBerry Leap smartphone yesterday at MWC 2015. 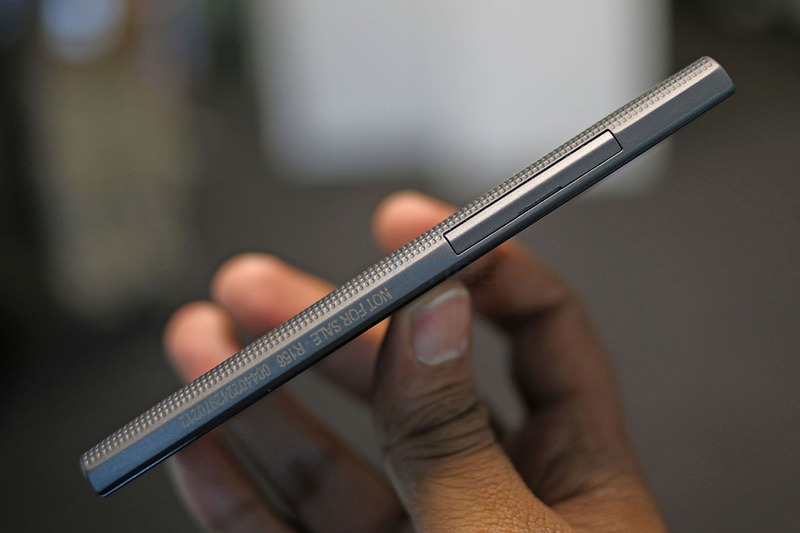 It is the latest full touch smartphone from the company and we went hands on with it at the event. 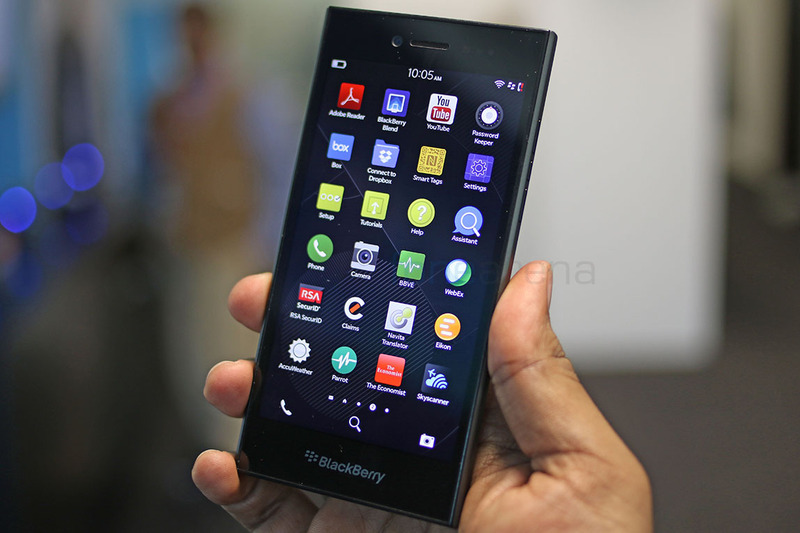 The BlackBerry Leap sports a 5-inch (1280 x 720 pixels) 16:9 display, is powered by a 1.5 GHz dual-core Qualcomm Snapdragon S4 processor and runs on the latest BlackBerry OS 10.3.1 OS with BlackBerry Assistant feature. It has a 2GB RAM, 16GB internal memory, Expandable memory up to 128GB with microSD. 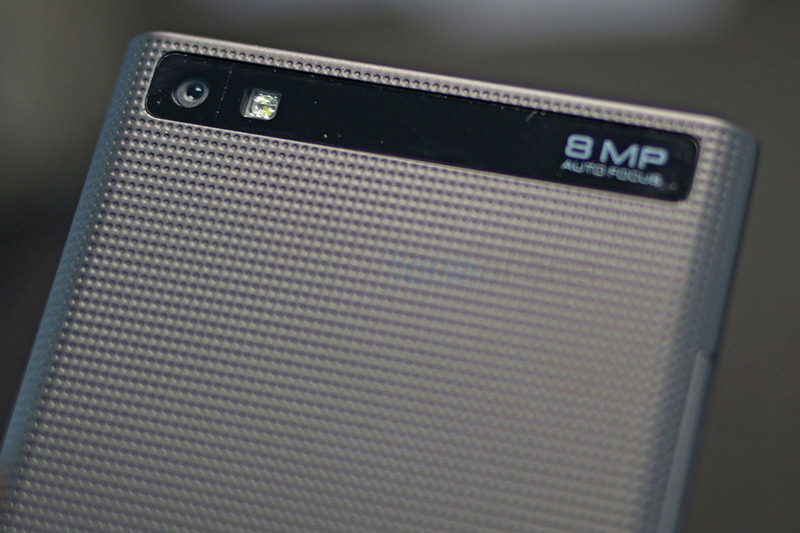 The phone has a 2MP Fixed-Focus front-facing camera with 720p HD video recording. 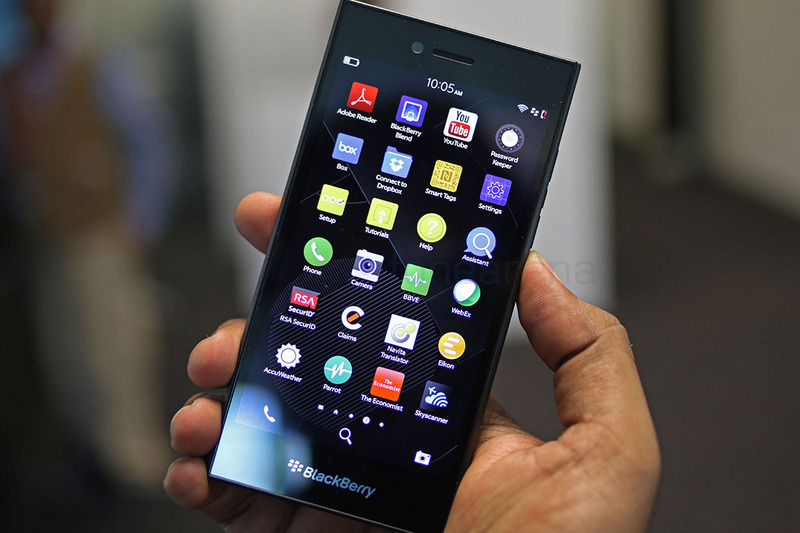 It has three on screen touch buttons and the BlackBerry logo below the display. On the right side the device has two separate buttons for volume rockers and a dedicated button for voice commands at the center. 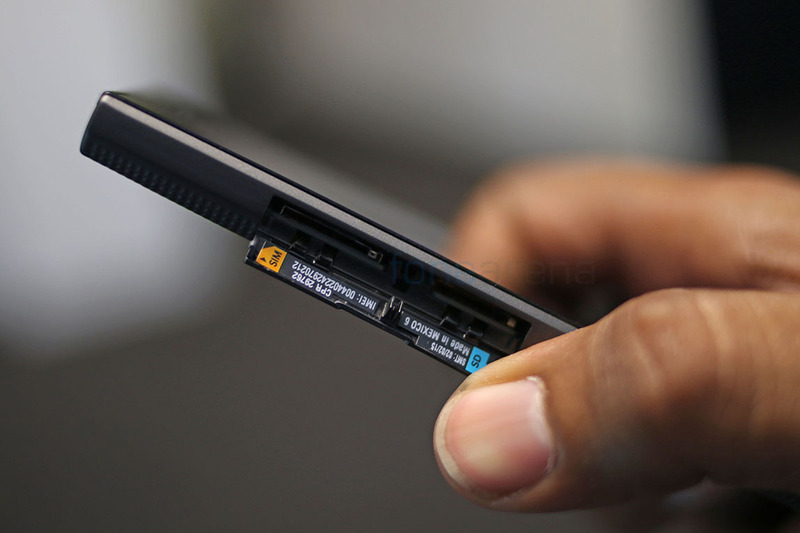 The phone has micro SD card lot and SIM card slot under a single cover on the left side. 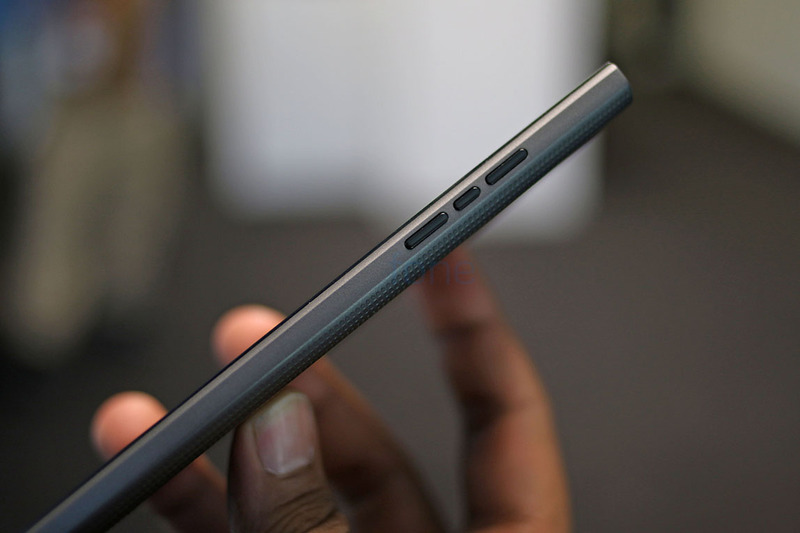 On the top it has a power button, 3.5mm audio jack and microphone. 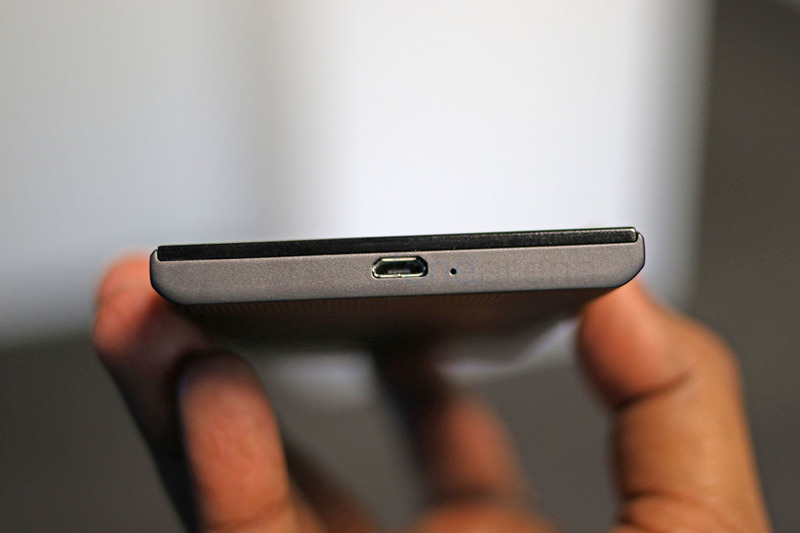 The micro USB port is present below along with the microphone. 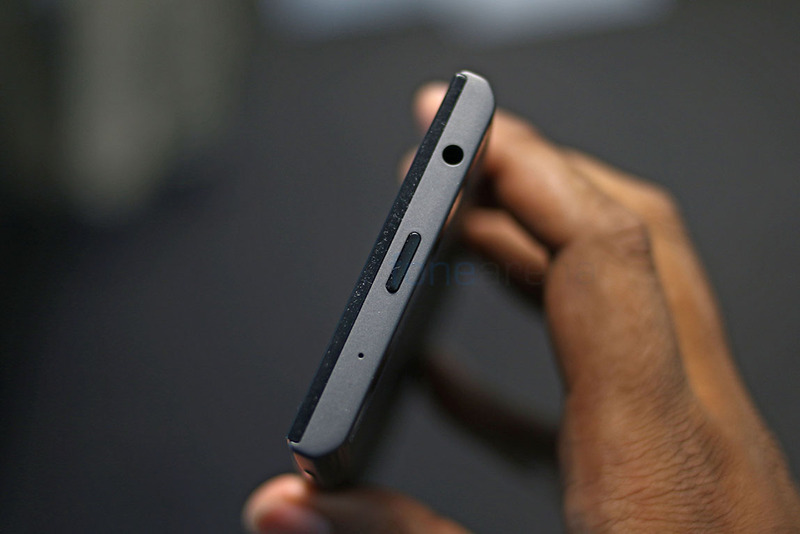 The phone measures 144 x 72.8 x 9.5 mm and weighs 170g. 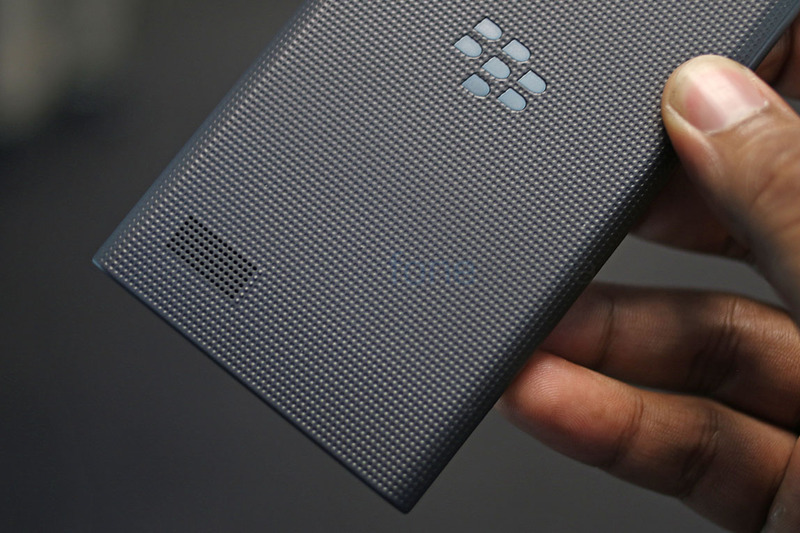 The back has rubberized feel and tiny patterns similar to the BlackBerry Z3. 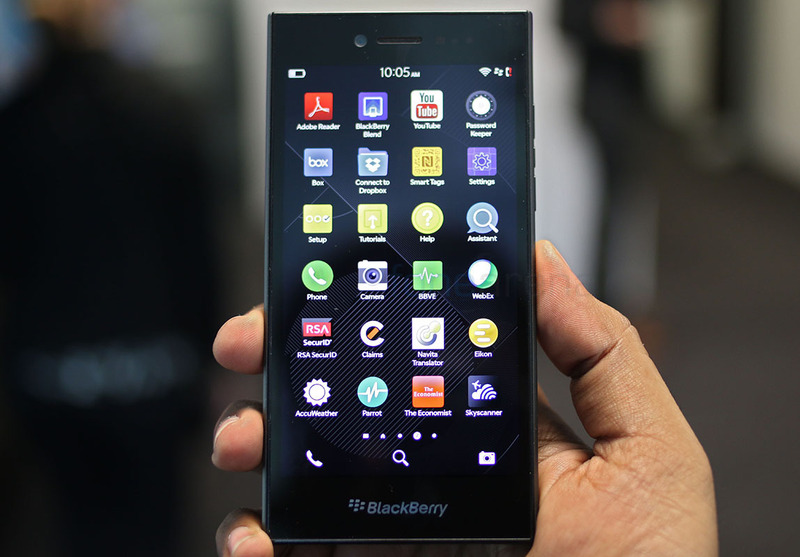 The BlackBerry logo is present at the center. The phone sports a 8MP Auto-Focus rear camera with LED Flash, 1080p HD video recording at 30fps. The loudspeaker grill is present at the left corner at the back. It packs a 2800mAh battery that promises up to 25 hrs of battery life even with heavy use. 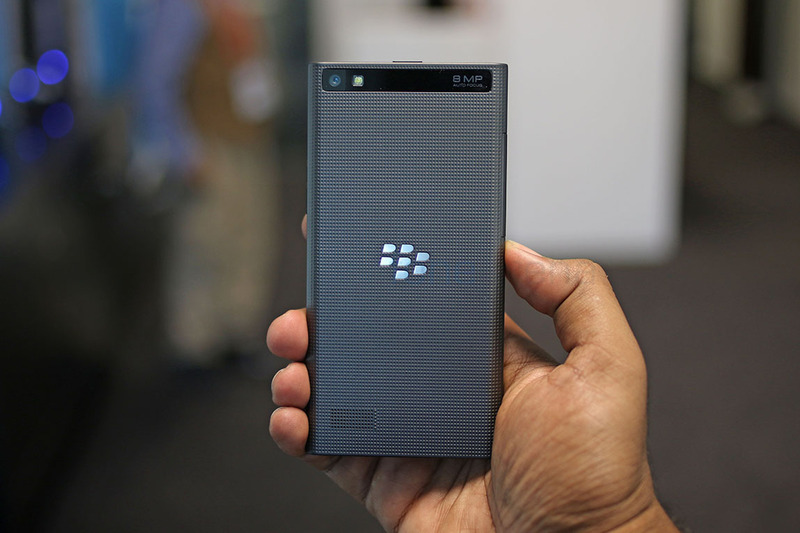 The BlackBerry Leap comes in Grey color and is priced at $275 (Rs. 17,000 approx.). It will roll out in April starting from Europe. Sneha Bokil-Paranjape contributed to this post.